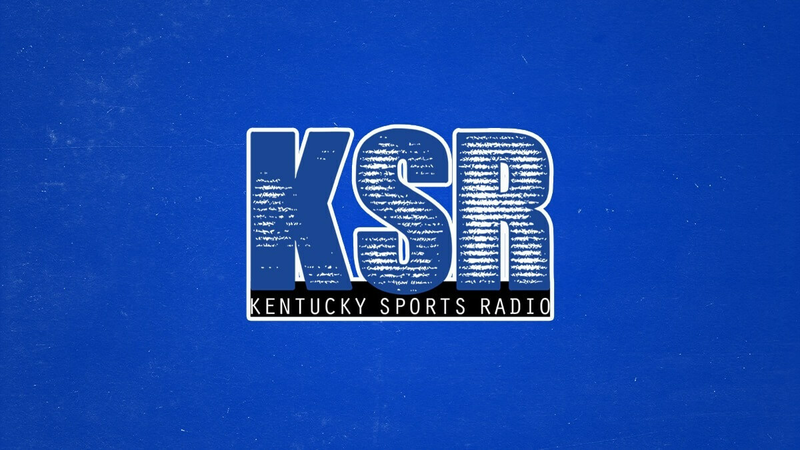 Terry Wilson has been on Kentucky’s campus for a little more than three months. Friday night the quarterback will get the opportunity to play in front of fans at Kroger Field for the first time. Friday night can’t come soon enough. The Blue/White Game has the players excited. For the coaches, it’s the first time they’ll see how Terry Touchdown, Gunnar Hoak and Danny Clark respond under pressure. When Eddie Gran was asked how much Friday night’s performance will factor into quarterback competition, he said, “zero point zero.” The offensive coordinator admitted that was a smart alec response. He simply wants to note that there’s a much larger body of work on film from practice that will weigh into the decision. Throughout the five weeks of spring practice, Hinshaw has seen growth from all the quarterbacks. Gran has set goals for the quarterbacks. First, take care of the football. Nothing is more important. “That ball is the program.” Second, he does not want to see the QBs take sacks. They need to get the ball to playmakers quickly to execute the offense. For Wilson, he just wants to cut loose and have fun playing football. There have been a lot of mistakes and opportunities to learn over the last month. All of that hard work will culminate Friday night in what he expects to be an entertaining exhibition.